The City of Angels offers beaches, mountains, and of course, great weather. It’s no wonder why so many people are moving to LA! Unfortunately, that also makes LA one of the most expensive rental markets in the US, with the average apartment going for $2,430 a month. Yikes! 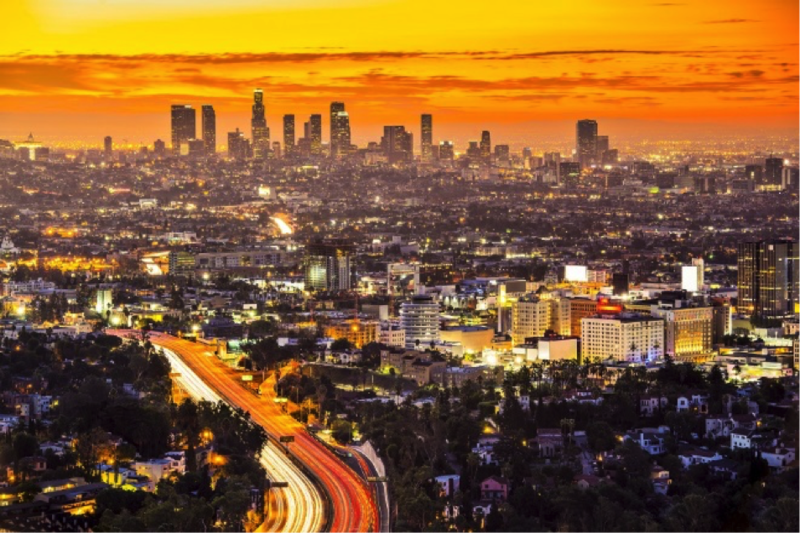 Still, fear not, there are some LA apartment rental bargains to be had if you know where to look – our friends at RENTCafé have dug up these hidden Los Angeles treasures on their apartment rental website. Westlake in Central LA is currently undergoing a makeover, with new retail fronts and artsy venues replacing rundown buildings, plus friendly people, and a relaxed vibe. And the best part: the cost of living is relatively low as compared to the rest of Los Angeles. 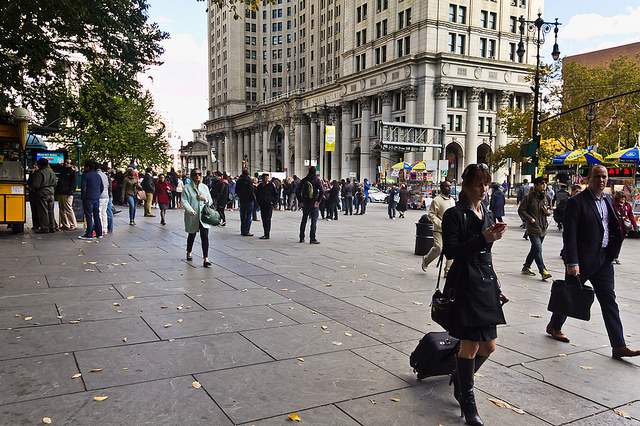 Studios in the area rent for an average of a little over $900 a month. Not too bad when you consider the close proximity to downtown and Echo Park. Homes at the William Penn apartment complex are warm and inviting. Combining old world charm with modern conveniences, the community includes a beautifully landscaped courtyard with a fountain, a fitness center, and an on-site clothes care center. 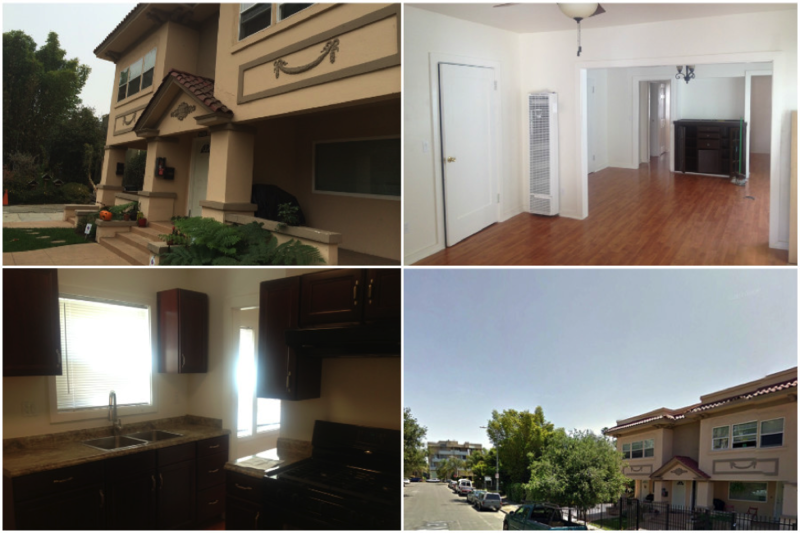 Conveniently located in the San Fernando Valley, Variel Villa provides easy access to shopping malls, movie theaters, schools, the Warner Center, and Pierce College. It has air conditioning, dishwasher, and patios or balconies. 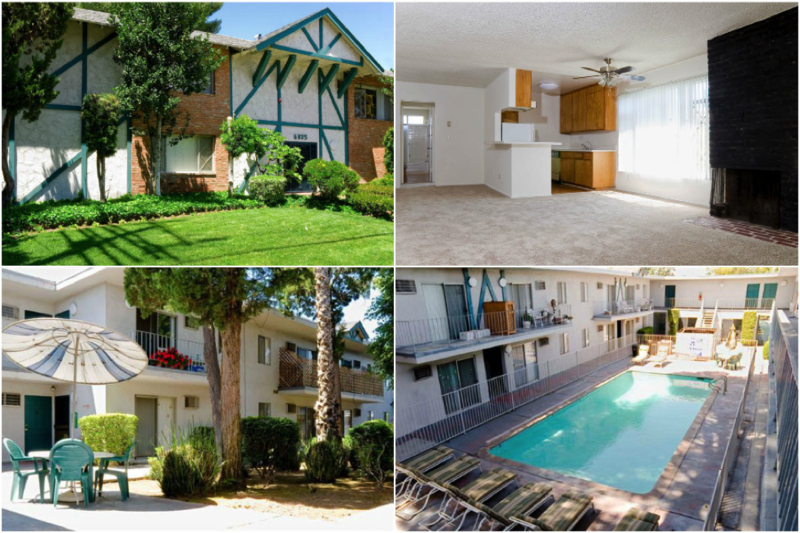 Community amenities include a pool, a carport, a picnic area, and controlled access. Los Angeles County is 4,752 square miles, which means there are still pockets of affordability, especially in the east. 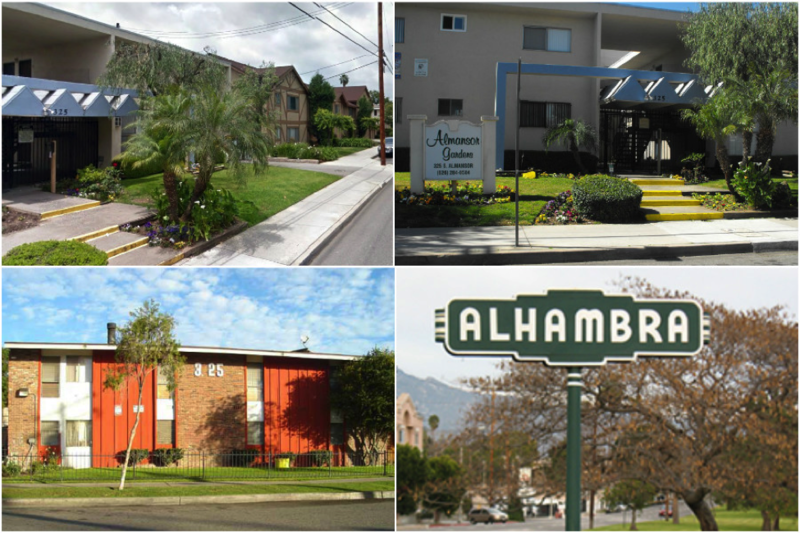 Alhambra in the western San Gabriel Valley region is a sleepy, older part of town that has its share of great apartment bargains, particularly 325 S. Almansor. You can find a spacious home that includes carpeting and 2 bedrooms for a fraction of the price “hipper” neighborhoods charge. Some of the best rental bargains in the entire city can be found in East Hollywood. With over 50,000 residents, East Hollywood is a diverse, exciting area to move into. You’ll find an art park, hundreds of different food options from a wide range of countries and backgrounds, and an active group of neighbors to meet. 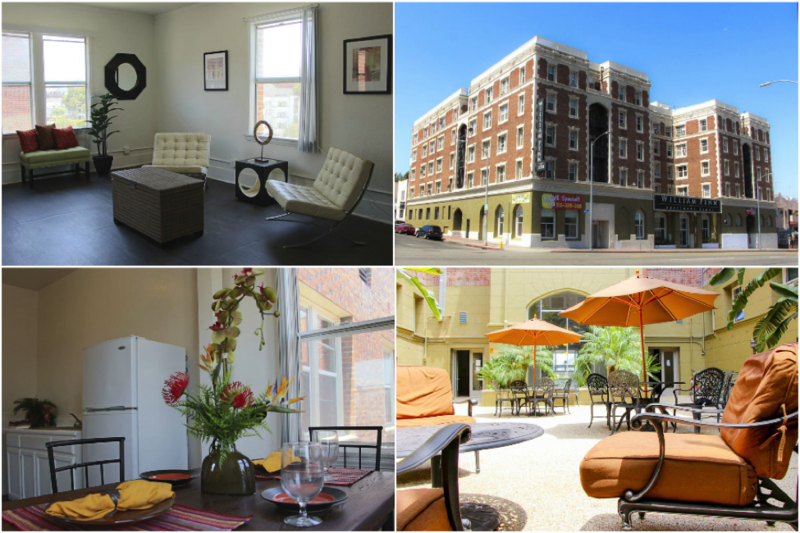 Check out the historic apartments at Carlton Way, just a few minutes from Hollywood itself. 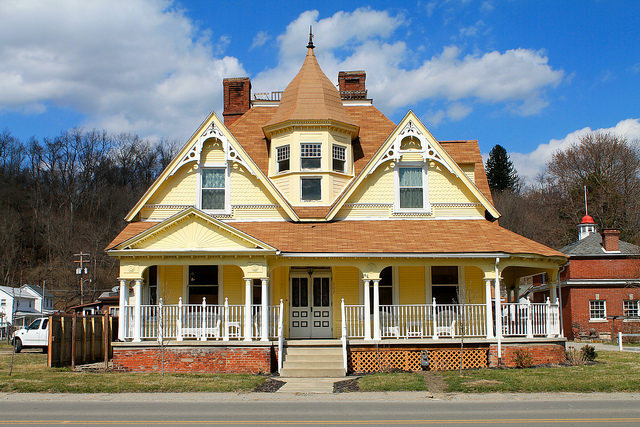 A huge old school building with lots of charm, these apartments all include hardwood floors and separate dining rooms. 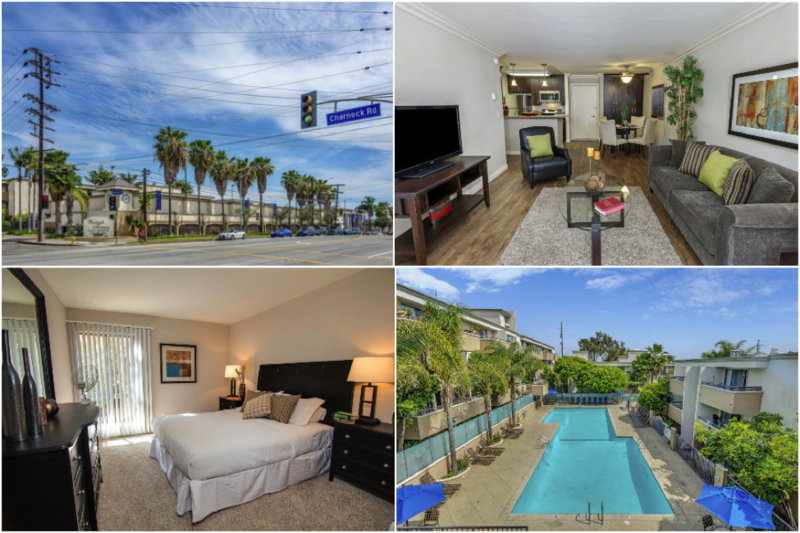 Playa Del Rey is an exclusive enclave near the beach, but a bachelor (or bachelorette) could find a cozy home at the Brisa apartment community! Each of Brisa’s modern studio apartments include their own balconies and stainless steel appliances. Plus there’s a fitness center to keep in shape, a dog park for your pooch, and community space to entertain your friends and neighbors. And did we mention the 5 minute drive to the beach? If you want to live on the Westside, you’ll find the apartments are newer and have more amenities, but the rents will be higher. But there are a few hidden gems, particularly around Palms. 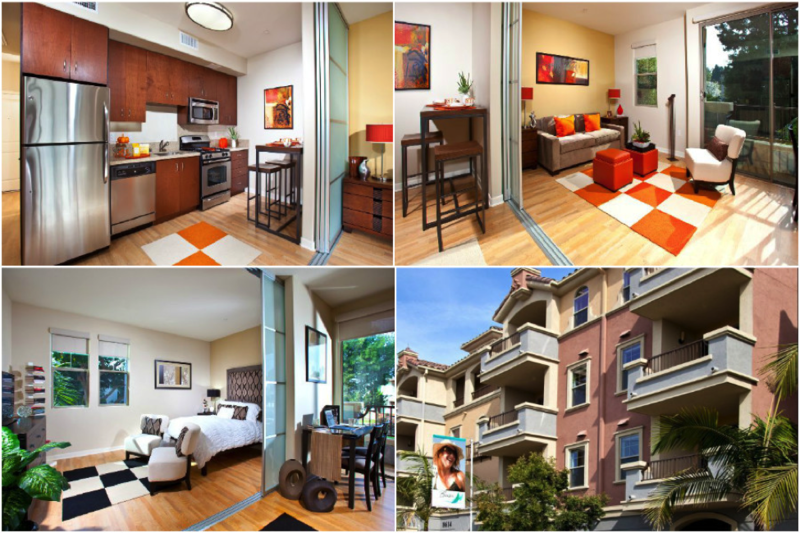 The Westside Terrace Apartments are a perfect example of convenience, style, and value on the Westside. Units have their own balconies and dishwashers, plus there are great bonuses like a tennis court and on-site dry cleaning service. Glendale is a charming community just on the other side of trendy Atwater Village. 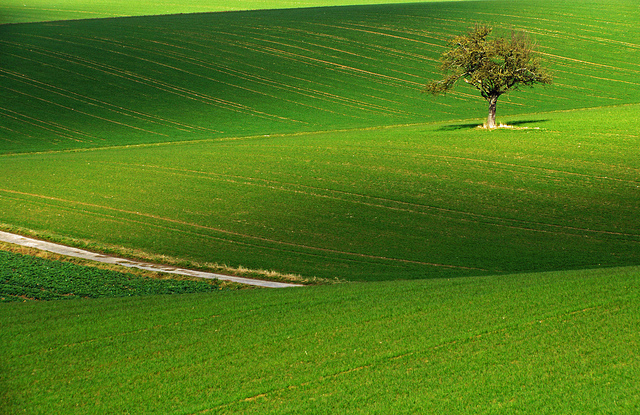 While Glendale may look like a great location with a small-town vibe, it has big city aspirations: just look at their activity-packed community calendar! 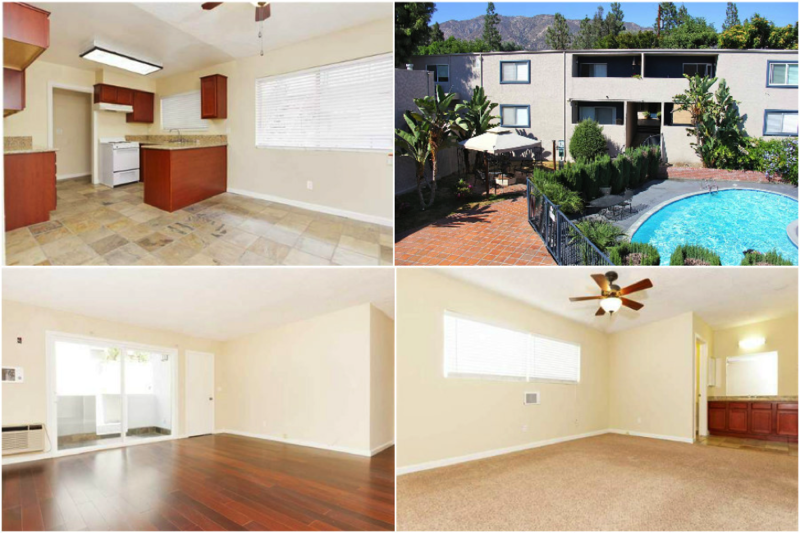 The Americana La Crescenta apartments are nestled in the foothills of the San Gabriel Mountains and feature granite counters, oak cabinetry, energy-efficient appliances, and hardwood floors. You can relax at one of the community’s sparkling swimming pools, hang out with friends in the BBQ/picnic area, or simply enjoy the fresh air in your own backyard!